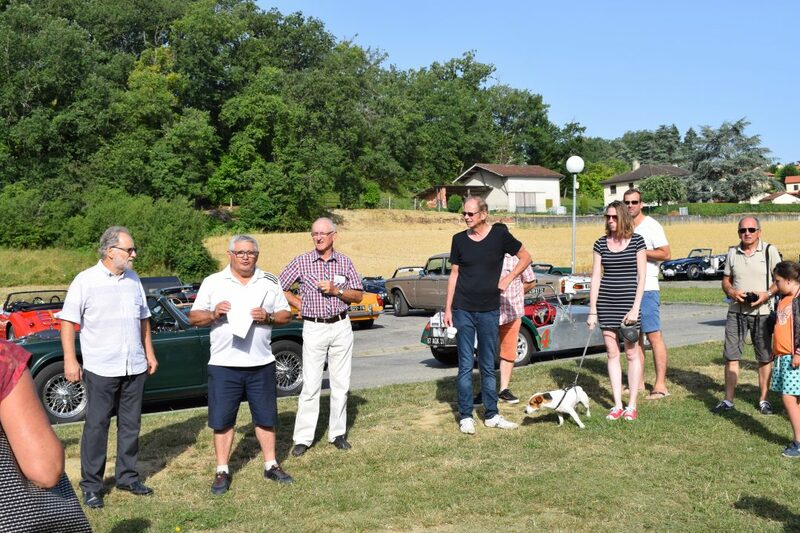 Garage Andreas was pleased to sponsor and attend the 17th Tacot’s Club Gascon “British Sunday” classic car rally yesterday. 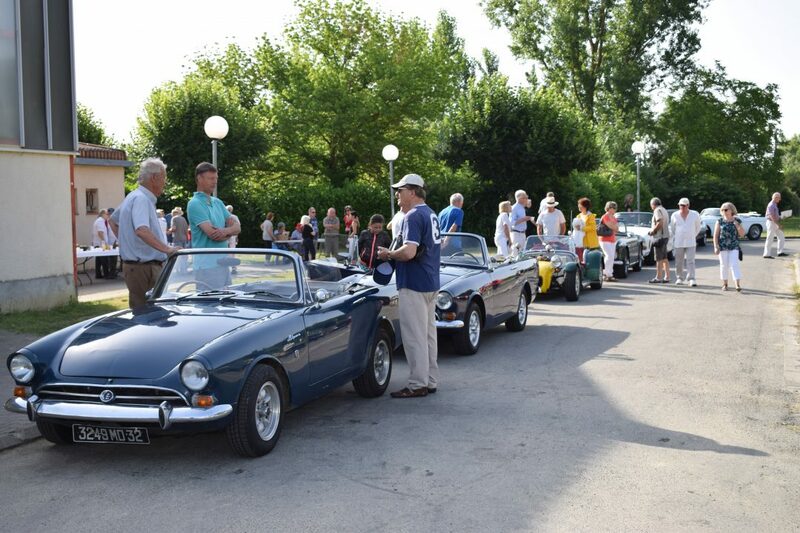 The weather was rather cold in the morning when I set off in the AC Cobra for our rendezvous in Auch, by the time I had reached Vic Fezensac the weather had closed in and I was beginning to think we were in for some bad weather, no soft top for the AC Cobra that I was in! However once I reached the outskirts of Auch the temperature had already reached the low 20’s and things were looking up. Being the last to arrive meant I was greeted by a gathering of around 50 cars, including Triumphs, E-Type Jaguars, MGs, Sunbeam Alpines, a Morgan, and a wonderful tiny Austin Seven “Nippy” belonging to Nick Poll. It’s strange you forget how small these cars are, but Nick managed to keep up with the likes of MGs and even a Lotus 7, well done Nick! With the weather by midday in the low 30’s I was surprised that all the cars performed admirably with no breakdowns, The AC Cobra I used performed it’s task with ease, I was running late in the morning and with the now 80 kms speed limit very much in my mind I set out to make up the time to Auch. AC Cobra. Open Road. Sunshine. Fantastic exhaust noise. I’ll let you guess the rest…….! 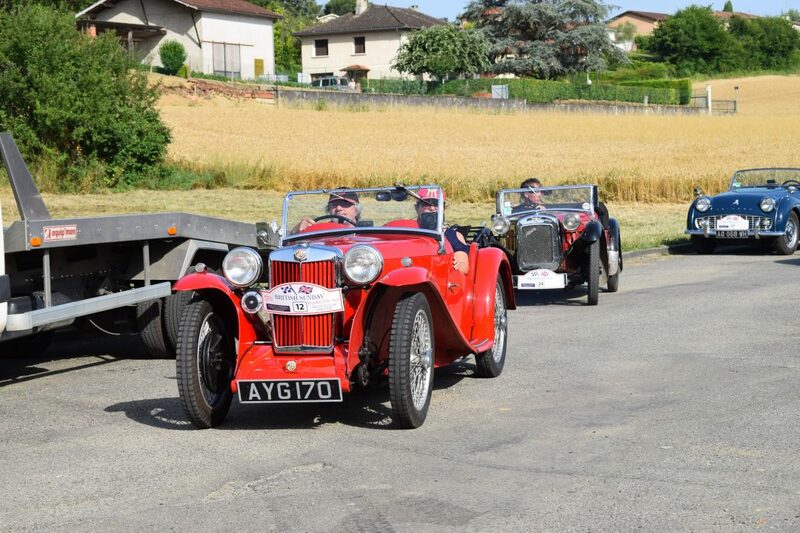 The route took us through spectacular scenery in the South of the Gers, starting from Pavie, with stunning views of the Pyrenees, finishing up in Monlaur-Bernet. 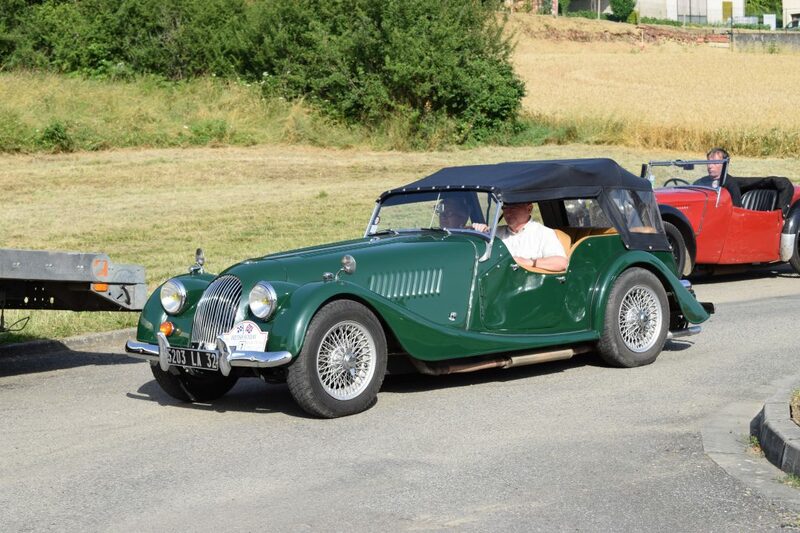 The run was perfectly coordinated by Joel Loiseau who appeared at various stages throughout the day to direct the cars when the road signs were absent as is the case on many French country roads, thank you Joel. 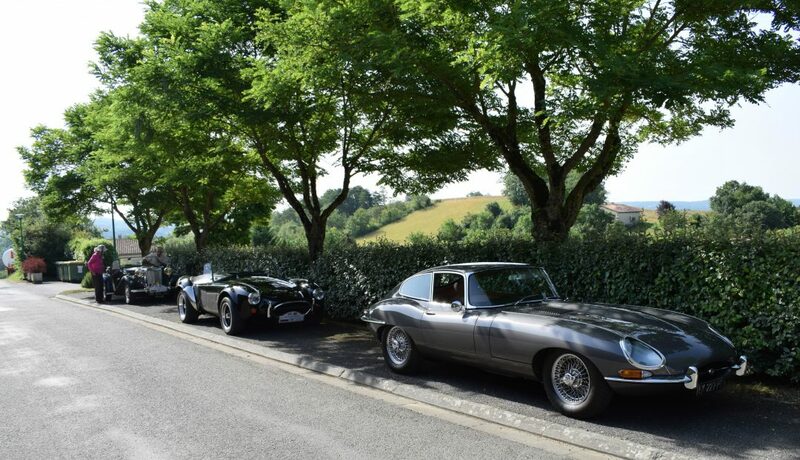 The lunch stop just outside Masseube was the typical 3 hour 4 course French affair, I was privileged to be seated next to the president’s wife and her friend, a very lovely lady in a Rolls-Royce Silver Shadow. It was a pleasure for Garage Andreas to sponsor the day for the Tacot’s Club and I hope it can be the beginning of a long association.